There is inconsistent evidence for social differentials in the risk of depression in youth, and little is known about how education at this age influences the risk. We assess how parental socioeconomic position (SEP) and education predict depression from late adolescence to early adulthood, a time of major educational transitions. We followed a nationally representative 20 % sample of Finnish adolescents born in 1986–1990 (n = 60,829) over two educational transitory stages at the age of 17–19 and 20–23 covering the years 2003–2011. We identified incident depression using health care register data. 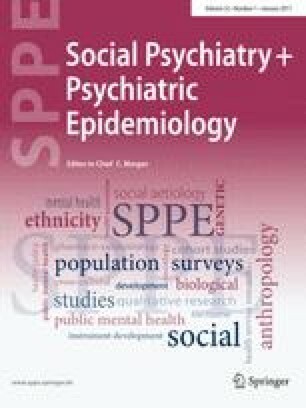 We estimated the risk of depression by parental SEP and personal education using Cox regression, adjusting for family structure, parental depression and the individual’s own psychiatric history. Lower parental income was associated with up to a twofold risk of depression. This effect was almost fully attributable to other parental characteristics or mediated by the individual’s own education. Educational differences in risk were attenuated following adjustment for prior psychiatric history. Adjusted for all covariates, not being in education increased the risk up to 2.5-fold compared to being enrolled in general upper secondary school at the age of 17–19 and in tertiary education at the age of 20–23. Vocationally oriented women experienced a 20 % higher risk than their academically oriented counterparts in both age groups. Education constitutes a social pathway from parental SEP to the risk of depression in youth, whereby educational differences previously shown in adults are observed already before the establishment of adulthood SEP. The study was supported by the Academy of Finland.